Check Center offers Netspend® Visa® Prepaid Cards to South and North California residents around San Diego County and the Bay Area. These prepaid visa cards allow our clients to easily keep tabs on their spending habits, avoid the hassle of accruing credit card interest rates, and to automatically receive money transfers. Read on to learn about all the perks to using our card and about how it can simplify your finances. What Are the Advantages of Using a Prepaid Visa Card? Avoid Interest and Late Fees: If you have to keep track of a number of expenses and have been getting fined for dropping the ball now then, our prepaid visa cards are the way to go. Whether you need to stay on top of your bills, shop online, book a hotel in Berkley, CA, or rent a car, you never have to worry about racking up interest or late fees like you would if you used a traditional credit or debit card. Keep Track of Your Spending: Request Netspend Anytime Alerts™ and receive a text message that there’s a transaction on your card, so you know you’ve been charged correctly. You can also use the service to keep track of direct deposits, cash loads and balances, all free of charge2. 20% Off Check Cashing Fees: At Check Center, we treat our cardholders as VIPS. When you choose to cash your check and load your Check Center Netspend Visa Prepaid card, we’ll deduct 20% from your check cashing fee every time. Ged Paid Fast4: As a cardholder, you can get paid, receive government benefits, and even your tax return5 up to 2 days faster with direct deposit to your Check Center Netspend Visa Prepaid account4. 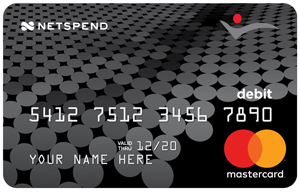 Get Your Prepaid Visa Card Today! No credit check is required.1 To get the process started, call us toll-free at 1-888-593-5626, apply online, or visit the Check Center location nearest you. We have over 17 locations around San Diego county and throughout the Bay Area, and are happy to help no matter where you live in our great state. 2 NetSpend does not charge for this service, but your wireless carrier may charge for messages or data. 3 This optional offer is not Metabank product or service nor does Metabank endorse this offer. 4 Faster access to funds is based on comparison of our immediate availability policy versus the typical banking practice of only posting funds after settlement. Direct Deposit and earlier availability of funds are subject to payor’s support of this feature and timing of payor´s funding. 5 Faster access to funds is based on comparison of Direct Deposit to a paper check. For up-to-date information from the IRS, visit www.irs.gov/refunds.